If you have a broken down liftgate, we can travel to you, or you can come to our facility. Our technicians perform a thorough diagnostic to identify the cause of your lift gate's malfunction and then provide a detailed estimate for the cost of repairs. To allow you to get back to work as quickly as possible, we can usually accommodate same-day service requests and keep a large inventory of high-quality aftermarket and OEM replacement parts in stock at our warehouse and on our service vehicles. As a result, the vast majority of liftgate repairs are completed on the first visit. We can also perform expert liftgate weld repairs, and liftgate repairs under warranty with a pre-authorization. At Mobile Lift Gate Service, we offer one of the most comprehensive liftgate preventative maintenance services in Los Angeles. During a preventative maintenance visit, we perform a complete oil change and system flush; check electrical components, hoses, valves, pump, and motor assembly; check for leaks; lubricate applicable moving parts; verify that the liftgate is operating properly; and assess any damaged, broken, or missing parts. Our preventative maintenance service helps extend the life of your lift gate and reduces the likelihood of untimely breakdowns and costly repairs. 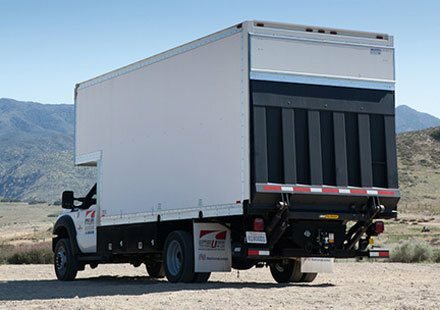 Mobile Lift Gate Service is proud to be a leading Authorized Distributor for Palfinger, MAXON, Tommy Gate, Waltco, Thieman Tailgates, DHollandia, Anthony, and other major liftgate brands. If you need a new liftgate, give us a call to arrange a consultation with one of our technicians. Our technicians will ensure you get the best liftgate for your needs and budget. 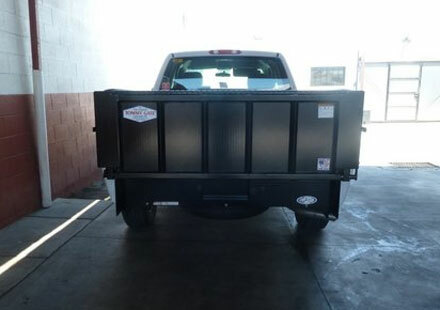 We can refurbish an old liftgate for a fraction of the cost of buying a new one. 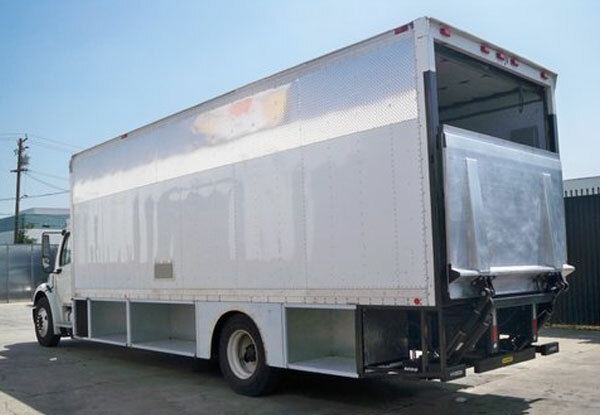 Refurbishing a liftgate may involve rebuilding the hydraulic cylinder, replacing work-out seals and gaskets, repairing broken welds, and changing or flushing fluids. 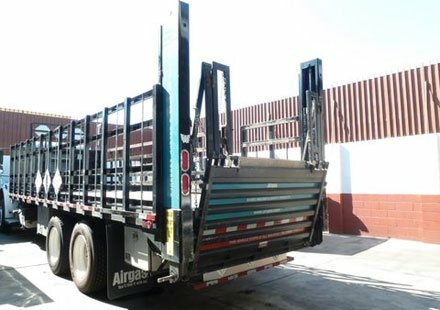 Our factory-trained and certified technicians are familiar with all major liftgate makes and models, and can refurbish all types of liftgates, including hydraulic lift gates, rail gates, folding lift gates, slider lift gates, sideloader lift gates, and tailgates. We can also transfer a liftgate from one truck to another. Founded in 1971, Mobile Lift Gate Service is one of the original liftgate service companies in the Los Angeles area. We are locally owned and operated and fully insured. Our regular business hours are 8am to 5pm, Monday through Friday, and we can provide after-hour liftgate service by appointment, typically until 9pm on weekdays and 8am to 5pm on Saturday. Call today to learn more. Don't let winter weather keep your lift gate down. Book your 50-point preventative maintenance appointment today! Have You Serviced Your Lift Gate Lately? Did you know that servicing your Lift Gate can help prevent downtime and costly emergency repairs? Great Service, great price and great communication. Will use them again for sure, highly recommended. Fantastic, fast service. Our lift Gate died on us this morning, fluid everywhere. They were able to fix it right away. I need to use this tonight and was completely stressed out and could not find a rental. The lift gate dealer that is closer to us said they couldn't get it done for 2-4 days and these guys had it done in 3 hours. THANK YOU!! 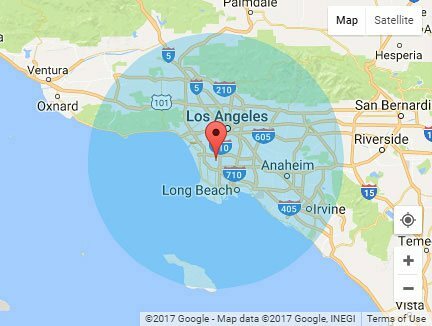 Mobile Lift Gate Service provides quality work and competitive prices for liftgate repairs in Pasadena and nearby cities.